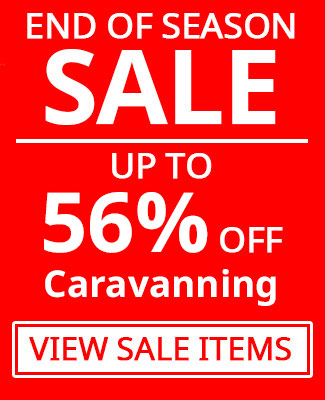 Towsure is a UK favourite Caravan, Camping & Outdoor store, established in 1967. Originally a family run towing and trailer shop in Sheffield, Towsure has expanded to become one of the UK's leading leisure stores, with two camping superstores and a huge range of outdoor pursuit products. We stock a collection of quality brands, with products ranging from caravan parts, to tents, camping supplies and various outdoor accessories. In addition to our products we also offer home fitting services for our towing equipment supplies including towbars and caravan motor movers. We are also proud to present our revamped bike shop in Sheffield, stocking Raleigh bikes and Diamondback mountain bikes, and specialising in electric bikes. If you have a query about our stores or any of our products and services, visit our contact us page. For more company information, visit our company profile page. Whether replacing an ageing awning or buying your first awning or family tent and all the associated camping accessories, the initial cost can make a dent in your finances. That's why Towsure has partnered with Afford It Now to offer finance packages as low as 9.9% APR, to make the cost easier to bear. Browsing through well-known auction and sales websites you can come across a large number of sellers offering cheap caravan and camping electric hookup leads, but many of these leads are little more than a standard household 4-way socket, wired to a blue campsite hookup plug. This design uses an adapter designed for indoor use - NOT for prolonged outdoor use in a caravan awning or a tent.